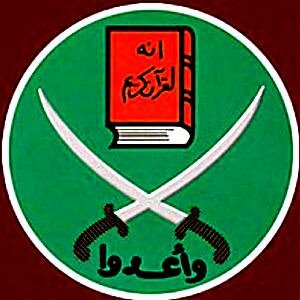 March 24, 2013 (Reuters) – An Egyptian court sentenced 529 members of the outlawed Muslim Brotherhood to death for murder and other offences on Monday, in a sharp escalation of a crackdown on the movement that is likely to fuel instability. Family members stood outside the courthouse screaming after the verdict – the biggest mass death sentence handed out in Egypt’s modern history, defence lawyers said. Supporters set fire to a nearby school in protest, state television reported. Turmoil has deepened since the army overthrew Egypt’s first freely elected president, Mohamed Mursi of the Muslim Brotherhood, in July. Security forces have killed hundreds of Brotherhood members in the streets and arrested thousands. Most of the defendants at Monday’s hearing were detained during clashes which erupted in the southern province of Minya after the forced dispersal of two Muslim Brotherhood protest camps in Cairo on August 14. Islamist militants have also stepped up attacks on the police and army since Mursi’s ouster, killing hundreds and carrying out high profile operations against senior interior ministry officials. ‘The court has decided to sentence to death 529 defendants, and 16 were acquitted,’ defence lawyer Ahmed al-Sharif told Reuters. The condemned men can appeal against the ruling. The GMBDW reported last month that the deposed Egyptian President Mohammed Morsi is facing four separate trials and could also receive the death penalty.